In the name of science, Henry Adams has killed a lot of trees. 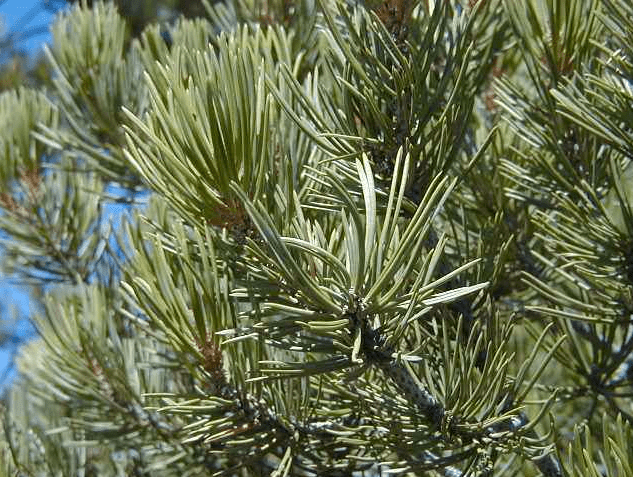 Adams, a PhD student at the University of Arizona, is studying the effect of climate change and drought on Piñon Pines. 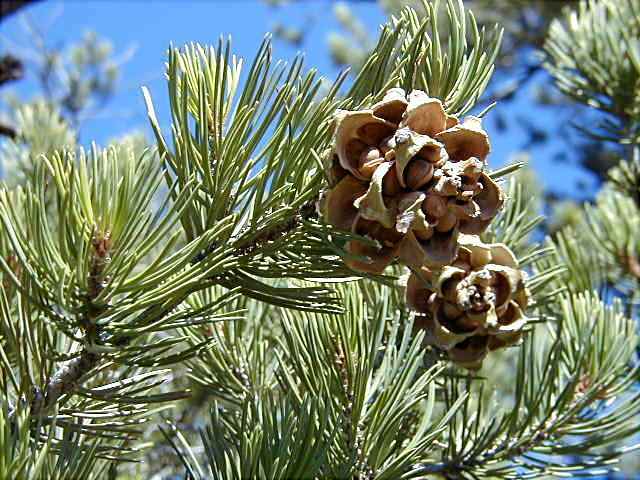 The Piñon Pine, a conifer with an extensive root system, grows at high elevations in the Southwest. 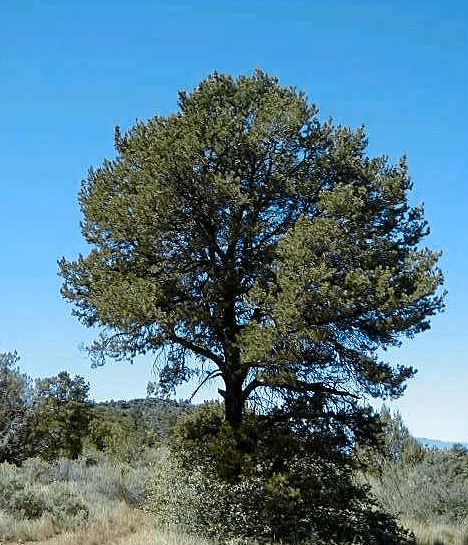 Its root system makes the Piñon Pine remarkably drought tolerant, but in 2002- 03, an extended drought in combination with a bark beetle outbreak killed 12,000 hectares of the trees. It was a 100 year drought, the driest period on record, and interestingly it coincided with temperatures 2 to 3˚C above recorded averages. Adams and his advisors wondered if increasing temperatures due to climate change might exacerbate the effects of drought and accelerate tree die-off. The University of Arizona has an unusual opportunity to test drought conditions and temperature change in its Biosphere 2 lab. 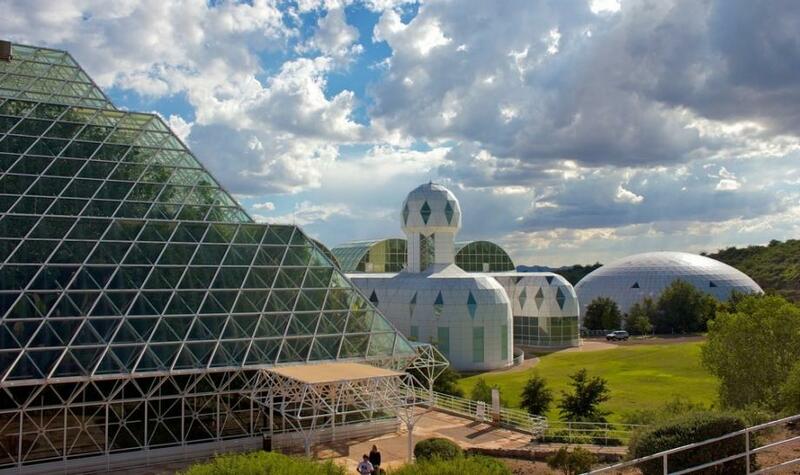 Biosphere 2, a unique 3-acre enclosed “living laboratory” in the high Arizona desert, once hosted 8 people for two years of self-contained survival living. Now it hosts research projects, and Adams was able to use space inside to induce drought in two separate treatments of transplanted Piñon pines, one at ambient temperatures and one at temperatures 4˚C above ambient. “Obviously, the warmer trees should die first,” says Adams. “But we want to test whether temperature change, independent of other factors, accelerates mortality.” If that acceleration in fact occurs, a shorter drought, the kind the Piñon Pine has historically been able to wait out, might cause a significant die-off. Naturally, Adams and his colleagues did more than just watch how fast trees would die without water. They also studied the trees physiological response to drought, measuring gas exchange, water potential, and stomatal conductance. 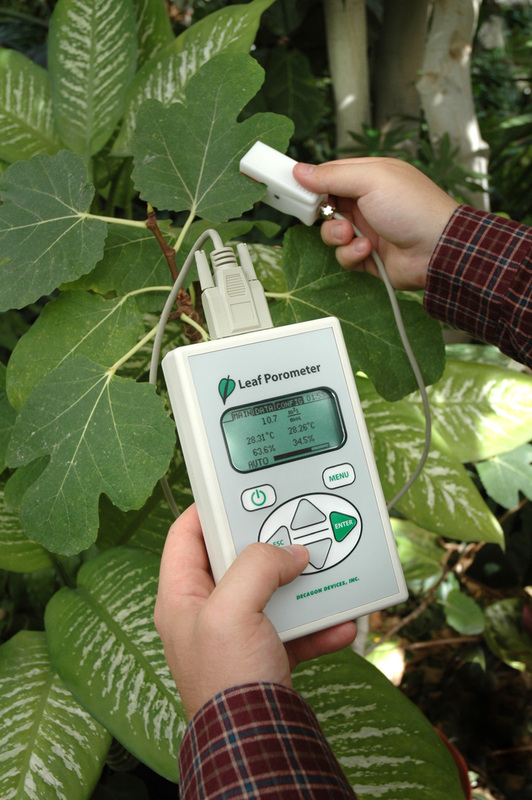 To measure stomatal conductance, they used a leaf porometer, making almost 9,000 separate measurements in sessions that lasted from sunup to sundown on one very long day once each week. There isn’t much guidance in the porometer manual for people who want to use it on conifers, so Adams “played around with it a little bit” on non-drought stressed trees before he started his study. He found that the best way to get good readings was to cover the aperture with a single layer of needles. “Needles are this three-dimensional thing,” he explains. 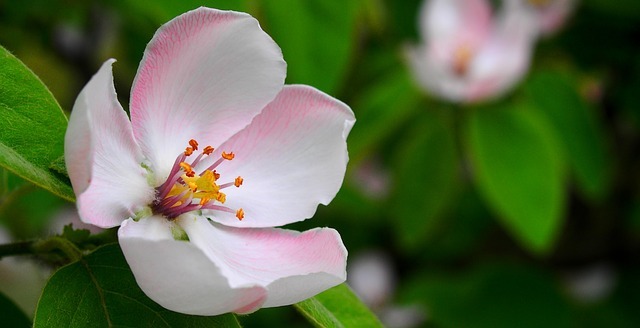 “They have stomata on several sides, depending on the species. If you imagine that the fingers on your hand are needles sticking up from a branch, we just took those and pushed them together to make sure that there was just a one needle thick covering over the aperture. If you spread your fingers, that’s what it would be like if you didn’t totally cover the aperture-then you underestimate the conductance. We also found that if we stuck several layers in there, we could drive the conductance number up. Next week: Find out how the researchers made comparisons at leaf level, transplanted the trees, and future implications for the Piñon Pine. Dr. Y. Osroosh, now a researcher at Washington State University, believes that plants are the best soil moisture sensors (see part 1). 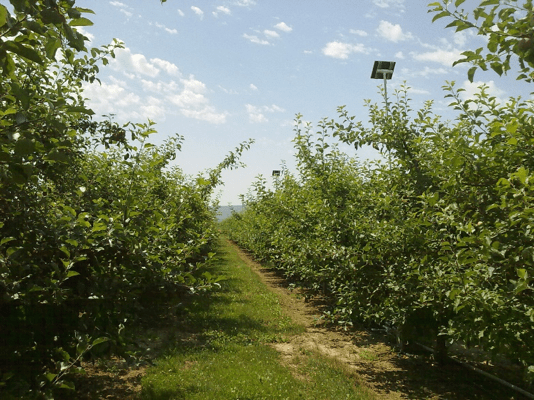 He and his team have developed a new model for interpreting plant canopy signals to indirectly determine soil moisture in a Fuji apple orchard. Below are the results of their efforts and what he sees as the future of this research. 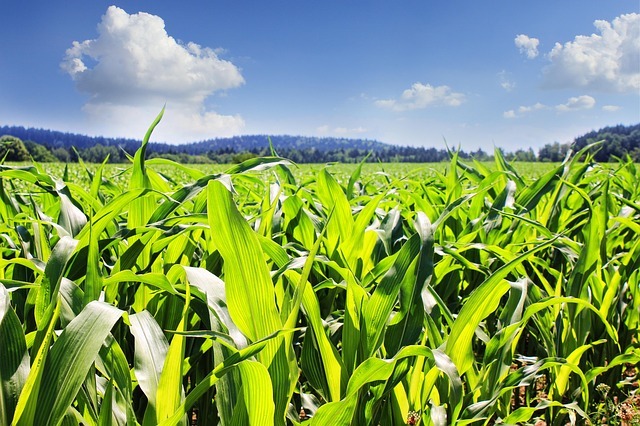 Could plants be the best indicators of soil moisture? Researchers have found good relationships between CWSI and soil water content in the root zone near the end of the season at high soil water deficits in row crops. 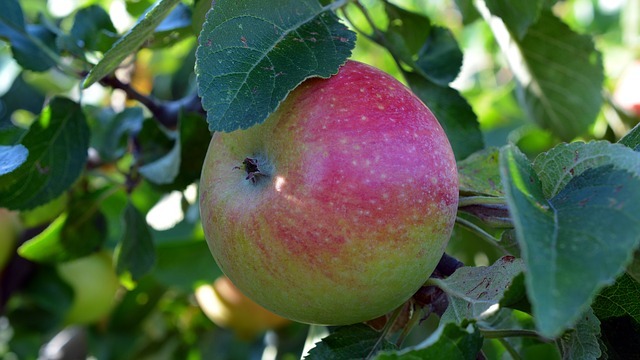 Osroosh wants to study other apple cultivars, tree species, and perhaps even row crops, under other irrigation systems and climates. 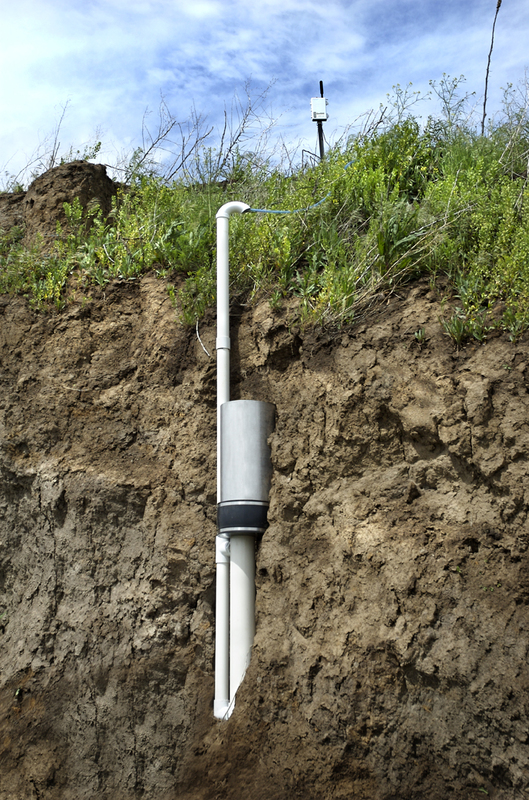 As a young university student, Dr. Y. Osroosh, now a researcher at Washington State University, wanted to design the most accurate soil moisture sensor. Over the years, however, he began to realize the complexity and difficulty of the task. Inspired by the work of Jackson et al. (1981) and researchers in Bushland, TX, he now believes that plants are the best soil moisture sensors. 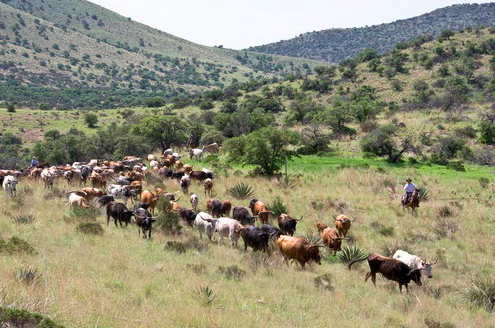 He and his team developed a new model for interpreting plant canopy signals to indirectly determine soil moisture. 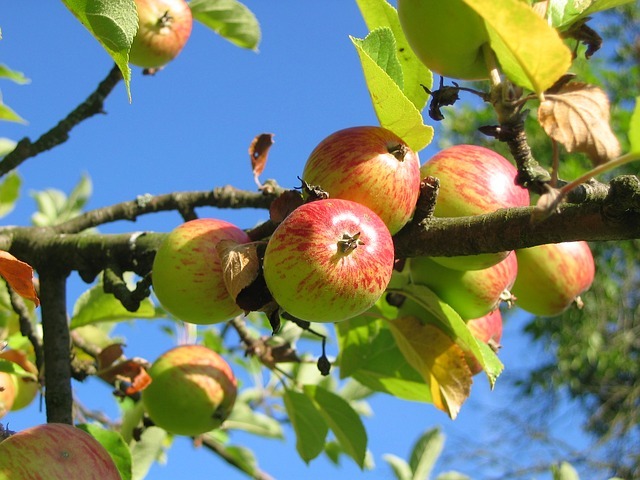 The team measured microclimatic data in an apple orchard. How Can Plants Indicate Water in Soil? Osroosh and his team wanted to use plant stress instead of soil sensors to make irrigation decisions in a drip-irrigated Fuji apple tree orchard. But, the current practice of using the crop water stress index (CWSI) for detecting water stress presented some problems, Osroosh comments, “Currently, scientists use either an empirical CWSI or a theoretical one developed using equations from FAO-56, but the basis for FAO-56 equations is alfalfa or grass, which isn’t similar to apple trees.” One of the main differences between grass and apple trees is that apple tree leaves are highly linked to atmospheric conditions. They control their stomata to avoid water loss. 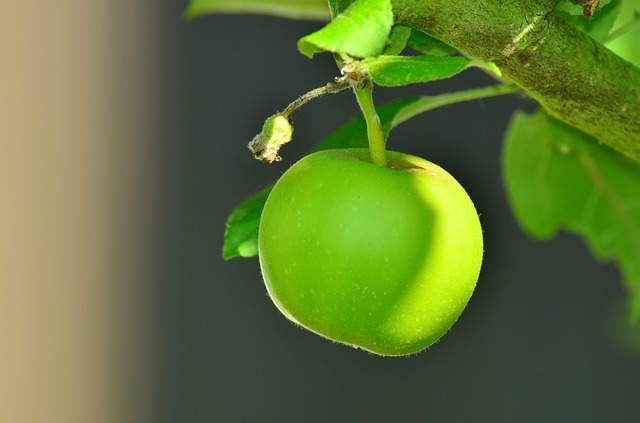 There is high degree of coupling between apple leaves and the humidity of the surrounding air. 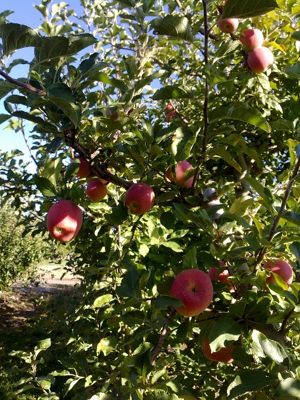 Fuji apple orchard (Roza Farm, Prosser, WA) where Osroosh performed his research. Osroosh says they established their new “Apple Tree” CWSI based on the energy budget of a single apple leaf, so “soil heat flux” was not a component in their modeling. He and his team measured soil water deficit using a neutron probe in the top 60 cm of the profile, and they collected canopy surface temperature data using thermal infrared sensors. The team also measured microclimatic data in the orchard. Neutron probes were problematic, as they did not allow collection of data in real time. Next week: Learn the results of Dr. Osroosh’s experiments, the future of this research, and about other researchers who are trying to achieve similar goals. Want to develop an appreciation for Gore-Tex? All you need is five minutes in a rubber raincoat. But how do you know whether the North Face knock-off you’ve just purchased in China for a ridiculously low price is Gore-Tex or rubber? If you’re a METER researcher, you dash back to your hotel room and clamp a porometer onto the fabric. 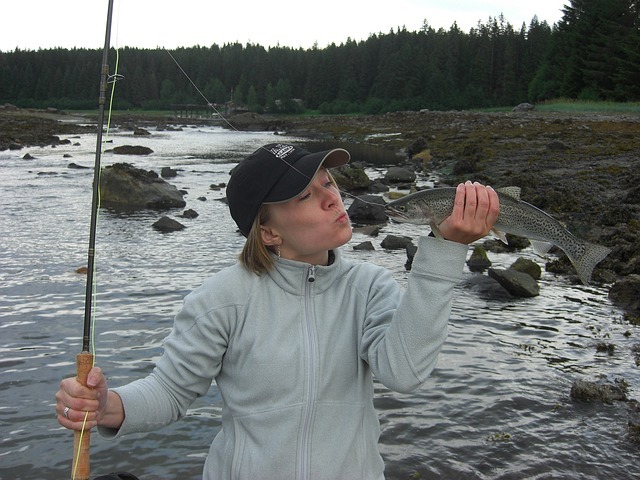 Dr. Campbell was probably thinking the questions would be about organic material—but it hasn’t always turned out that way. By putting a wet paper towel on one side of an inorganic material and clamping the towel and the material into the porometer head, you can measure how well water vapor diffuses through the material. Using this strategy, the researcher in China discovered that his raincoat was pretty much impermeable (unlike real Gore-Tex, which is a good vapor conductor). Spotting the fake North Face coat is now a favorite part of METER’s canopy seminar. And the coat is not the only leafless item that has been tested. “People will clamp the porometer on just about anything,” Doug Cobos, a METER research scientist, admitted. He himself grabbed it when a local contractor brought in a sample of some supposedly unique house wrap. Siding is supposed to protect a house from the elements, but most building codes now require that houses be wrapped under the siding. 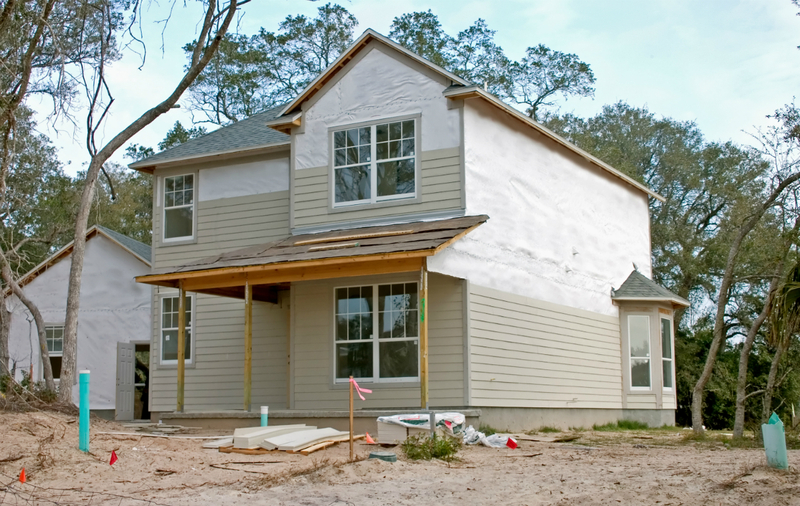 House wraps provide a secondary defense against liquid water and increase energy efficiency by preventing drafts. As with raincoats, high-performance house wrap needs to repel water and stop wind while remaining permeable to water vapor. House under construction with protective wrap under the siding. The practice of applying a sheathing of tar paper under siding is a hundred years old, but in the last fifteen years, high tech house wraps made from polypropylene in combination with a push towards energy efficiency have made the house wrap market big and competitive. Upstart wraps try to gain market share through innovation and the one brought in by the local contractor came along with an outlandish claim. According to the manufacturer’s rep, this plastic wrap would allow water vapor to diffuse out while preventing any from diffusing in. Some builders might have scratched their heads and moved on. Our local man decided to check it out. He brought a sample of the mystical wrap to Decagon. Out came the porometer and a quick scientific study of house wrap was born. Dr. Cobos tested industry standard Tyvek house wrap along with the great one-way pretender. The results? “The vapor conductance of the new material was basically the same, regardless of which side of the material faced wet filter paper,” Dr. Cobos said. “And, in fact, the material didn’t diffuse well at all. Its conductance was similar to cheap perforated plastic. It didn’t come close to the performance of Tyvek.” Ultimately, the newfangled wrap was retested by the manufacturer and taken off the market. Measuring the stomatal conductance of a leaf should be a pretty straightforward problem. The conductance is just the flux density of water vapor divided by the concentration difference between the leaf and its surroundings. Common approaches to this problem involve either flowing air of known vapor concentration over the leaf and measuring how much water vapor is picked up, or sealing a cup of known capacity to the leaf surface and measuring how quickly the vapor concentration in the cup increases. Both of these, though simple in concept, require quite a bit of expensive equipment to pull off. We wanted a simpler approach. We put a humidity sensor in a small tube, the end of which could be pressed against the leaf. As vapor diffused through the tube the humidity in the tube increased. The conductance of the tube is easily calculated. It is the diffusivity for water vapor divided by the tube length. The leaf conductance could be computed from the tube length, the humidity in the tube and the ambient humidity. That worked, but it turned out that ambient humidity variations introduced too much error, so we later added a second humidity sensor toward the distill end of the tube. Our approach was very simple, and works well, but it wasn’t a new idea. I read of a similar device in a conference proceedings (I don’t recall the name of the conference) in 1977 when I was on sabbatical at University of Nottingham in England. The device wasn’t for leaves. It was developed by a medical researcher to assess severity of burn injuries, and for use on neonatal infants. The skin of a non-sweating human is pretty impermeable to water. A typical conductance is around 5 mmol m-2 s-1. This is about half the value for a leaf with stomates closed, and about two orders of magnitude lower than leaves with open stomates. Burned skin, however, is much more permeable, and the permeability is related to the severity of the burn. A device that could measure the permeability of skin would therefore give information on the severity of the burn. The researcher built an apparatus, similar to our porometer, with two closely spaced humidity sensors in a diffusion tube. As I recall, it was somewhat successful, but I’m not aware of it ever having been commercialized or used much after that. The application for infants is also interesting. Full-term babies have low skin conductances. I haven’t seen measurements, but assume they are similar to adult conductances. The skin of premature infants, though, has a much higher conductance. I don’t know typical conductance values, but do know that, without intervention, the conductance can be so high that evaporative water loss from the baby will reduce body temperature to dangerously low levels, even in an incubator. I don’t know if later work has been done to measure skin conductance, but it is interesting that the first applications of the technology we now use in our porometer was for measuring conductance of the human epidermis, not the epidermis of leaves.